Exceptionally portable, the IdeaTab® A2107 holds the answer if you want to keep all your favorite books, songs and movies at your fingertips, even when you’re off the beaten track. 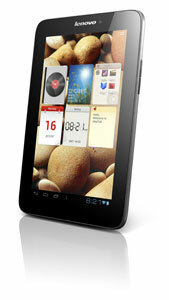 Great for HD video and stereo music, and comfortable for reading, it is a tough, affordable, pocket-size tablet PC. 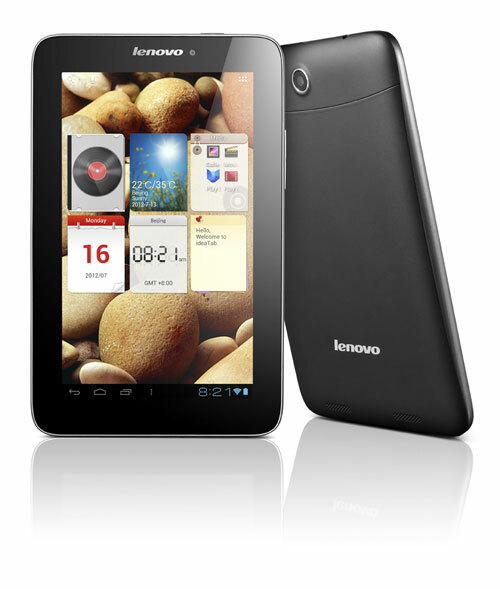 The IdeaTab® A2107 tablet is engineered to feel and look as good as it performs. With a black matte cover that’s soft to the touch and easy to hold with only a light grip — so there's no need to worry about it slipping from your hand. The elegant "loop" design, inspired by nature, allows the A2107 tablet to offer plenty of features in a thin and light package. And look and feel are just the beginning. The A2107 tablet is carefully crafted to be simple to operate in all sorts of usage scenarios, and to make your life easier. It’s powered by Android 4.0 Ice Cream Sandwich, the latest version of Android. We've developed a clear, simple user interface (UI), which makes using some of the most popular everyday tablet functions like checking the weather, making notes, or listening to music a pleasure. A stainless-steel internal roll cage protects the A2107 tablet's internal components from damage if it's dropped or bumped. Wi-Fi and Bluetooth® keep you connected, while GPS functionality connects you to your surroundings. Front- and rear-mounted webcams let you take and share photos and video chat with friends. The IdeaTab® A2107 tablet puts a world of entertainment at your fingertips. And it’s optimized so you get the most out of those entertainment features. From reading to social networking, from listening to music to watching HD videos, the A2107 is specifically tailored for your enjoyment. Vivid 7” display delivers crisp HD images and video. The 7" A2107 is the same size as a novel — a natural, comfortable fit for readers who want to travel light. Preloaded apps let you start enjoying your tablet right out of the box.